Karwaan took a lesser than expected start as the footfalls were just not there for this film which belongs to the road genre. As a matter of fact the genre has anyways not been explored much in Bollywood and for audiences to warm up to it, the film has to be really special. 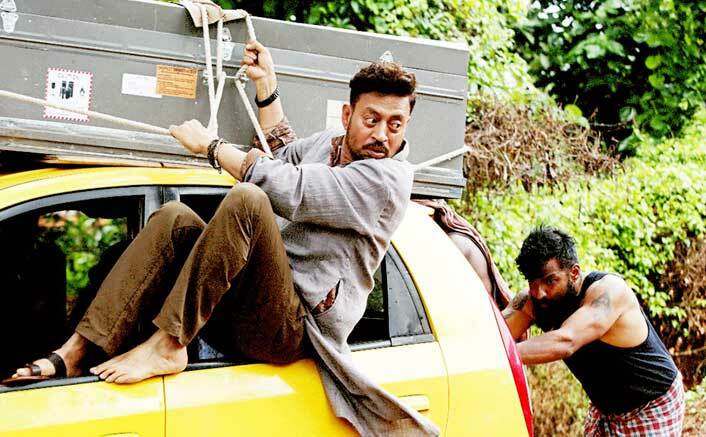 The hype though was missing for the Irrfan Khan starrer and hence it was pretty much on the cards that at maximum the film may touch the 2 crore mark at the box office. Well, even that didn’t really happen as just 1.50 crore* came for the film on its first day. This is clearly one of the lowest start that an Irrfan Khan starrer has taken in recent times as leave aside bigger films like Blackmail [2.81 crore] or Hindi Medium [2.81 crore], the film was comparable only to Qarib Qarib Singlle [1.75 crore] which had released last year and still managed some sort of respectable numbers at least. For now, the opening is quite low for the Akarsh Khurana directed film and since the awareness is just not there, one waits to see of there would be any major turnaround. Yes, Saturday numbers would of course be better than Friday but then the momentum needs to continue on the same scale on Sunday as well. Fanney Khan Box Office Day 1: Has A Poor Start! With so much of competition around it, Karwaan is finding itself trapped in the middle of four-five other films in the running, something that would make its run in theaters quite challenging. The post Karwaan Box Office Day 1: It Is The Lowest Irrfan Khan Opener In Recent Times appeared first on Koimoi. Box Office Collections Day 6: Mulk, Karwaan, Fanney Khan – Wednesday Updates!